Distributed generation refers to the generation of electricity a locations scattered throughout the utility electric grid, often with solar electric (photovoltaic) power. Traditionally, utility companies have produced electricity at central plants throughout large geographical areas. This is centralized generation, the opposite of distributed generation. This centrally produced electricity is delivered over long distances to the point of use in homes and businesses. Utility owned solar energy plants may be somewhat distributed around the utility company’s service area, but Distributed Generation (DG) usually refers to small solar energy plants located on home and business rooftops and properties scattered throughout the geographic area covered by the utility company. Proponents of distributed solar power generation contend that producing electricity closer to the point of use is far more efficient than delivering electricity over long distances, and can build a level of security into the grid infrastructure. 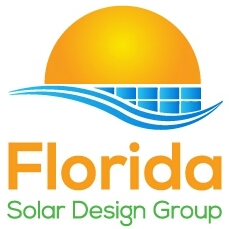 Utility companies in Florida do not favor distributed generation because they contend that solar producers scattered throughout the state use their transmission lines to effectively sell electricity to non-solar consumers.